Tuulia is using Smore newsletters to spread the word online. 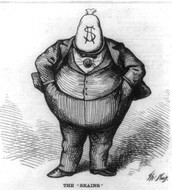 With a connotation referring to cheap commercialization, poor quality, and fakery, 'gilded' is a word that applies to the Gilded Age era in the United States for the Gilded Age was a time of irony in society: as some struck it rich, others suffered in poverty; as some rose to take up advantage of great opportunities, others suffered disasters; as high standards developed, low practices became common; and as advancement flourished, so did decay. 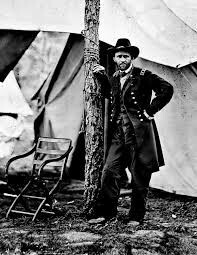 At the time of the election of 1868, it was still believed a good general would make a good president. 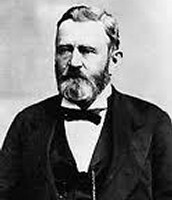 Because of this, General Ulysses S. Grant was nominated for the presidency by the Republican party who's platform seemed to call for more Reconstruction of the South than anything else. 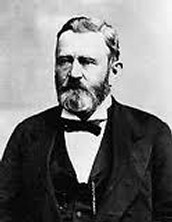 To whip up enthusiasm for him, Republicans unashamedly waved the "bloody shirt" to revive memories of the Civil War and became a prominent feature in Grant's campaign. 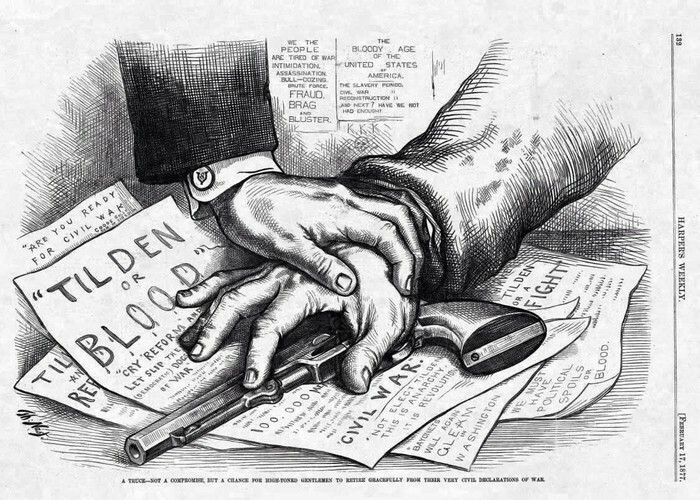 The powerful Republican slogan, "Vote as You Shot", was also a prominent target placed on Union army war veterans to aid Grant's campaign. 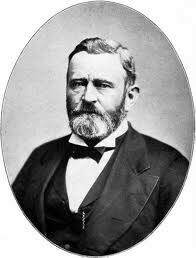 Grant eventually won the election with 214 electoral college votes, but only 300,000 popular votes. 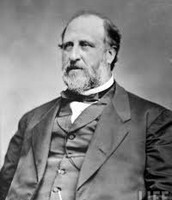 Most white voters supported his competitor, Horatio Seymour, however, an estimated 500,000 former slave votes gave him a margin of victory. 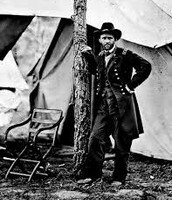 From then on the Republican Party realized that to stay in power they had to learn to control the South and to keep the ballot in the hands of the grateful freedmen. 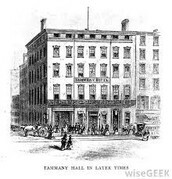 After the Civil War, many businesspeople and government officials continued to deal with their affairs justly and fairly, although the atmosphere in general seemed very unpleasant. 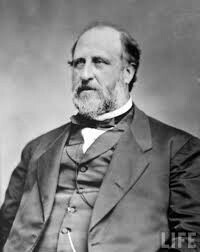 Adding to this unpleasant atmosphere was the infamous William "Boss" Tweed who through the usage of bribes, kickbacks, and deception, stole from New York City as much as $200 million. 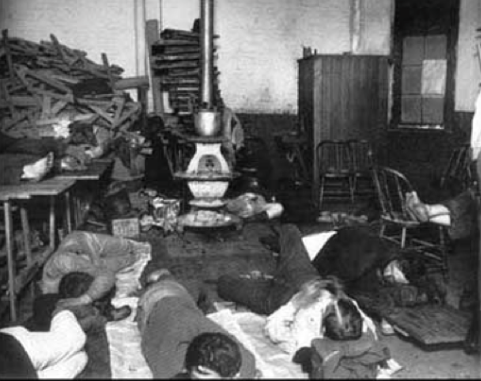 Citizens were intimated into silence about the event, and protestors found their tax statements raised. In 1871, however, after The New York Times secured evidence to show Tweed's fault and shot down a $5 million offering to not publish the evidence, the paper courageously did. Afterwards, cartoonist Thomas Nast continued to ridicule Tweed through cartoons endlessly thanks to his gifted drawing ability. 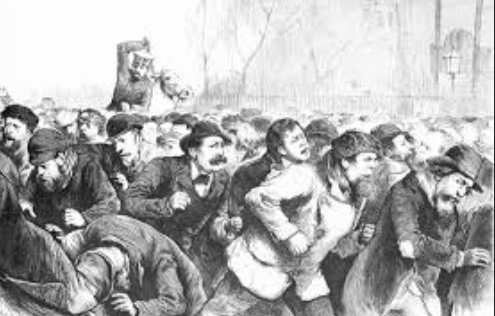 As a result of the dangerous possibility there would be no president on Inauguration Day, March 4, 1877, and Democratic hotheads chanting "Tilden or Blood! 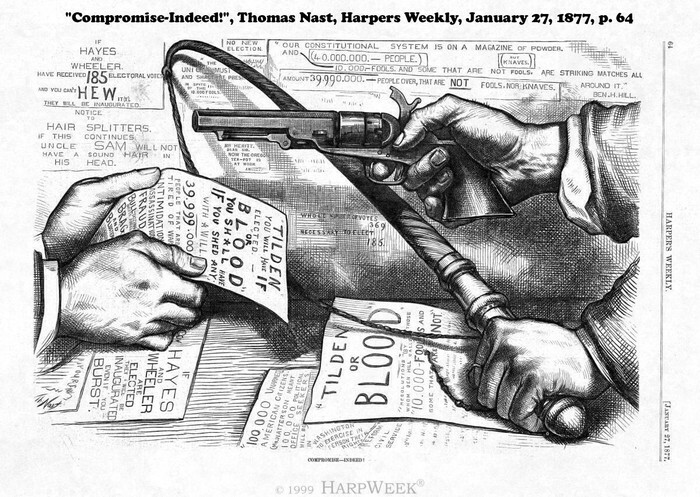 ", the Compromise of 1877 was created by Congress. 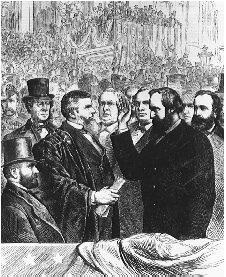 A month before Inauguration Day, the Senate and House met to settle their dispute. 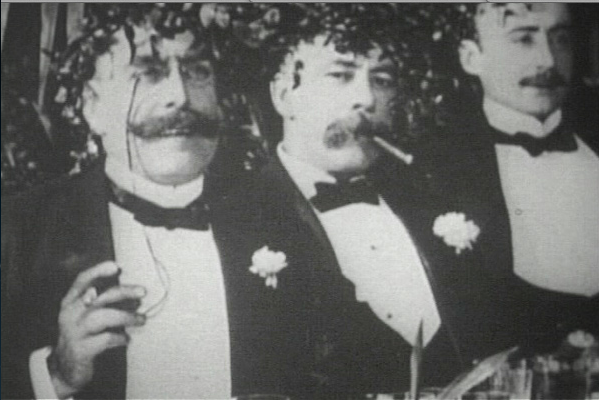 The roll of the states was tolled off alphabetically, and when Florida was reached, its disputed documents were referred to by the electoral commission. 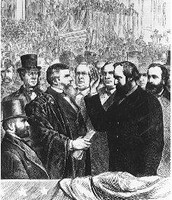 After prolonged discussion, the Republican returns were accepted. 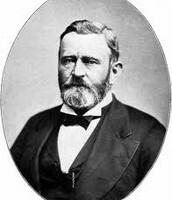 The compromise also resulted in the Democrats agreeing on Rutherford Hayes possibly taking office as long as he withdrew intimidating federal troops from Louisiana and South Carolina as well as Republicans assuring Democrats for a bill to subsidize the Texas and Pacific Railroad's construction of a southern transcontinental line.